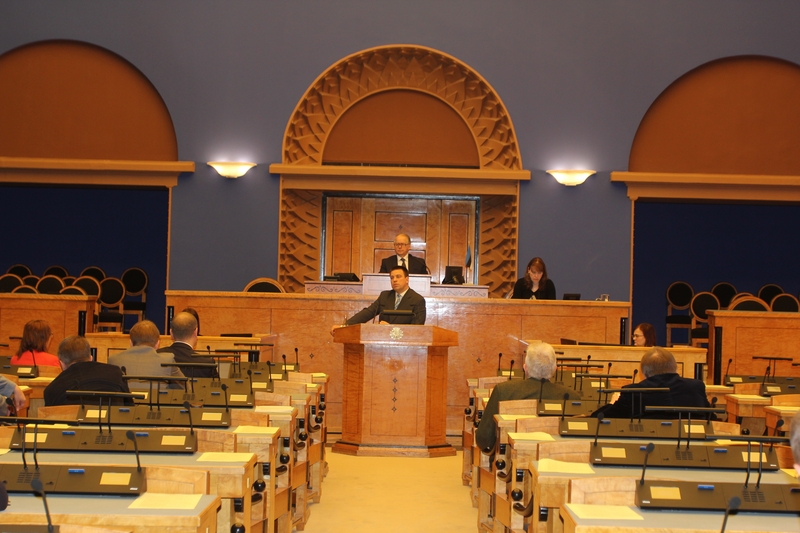 Today, Prime Minister Jüri Ratas spoke about the priorities of Estonia’s Presidency of the Council of the European Union at the Riigikogu. They are the following: an open and innovative European economy, a safe and secure Europe, a digital Europe and the free flow of data, and an inclusive and sustainable Europe. “Our priorities have been carefully considered and discussed, and every initiative and event has been analysed at length – there is not a single unimportant item on this list. However, the most important of them is that Europe would remain strong and unified,” the head of Government confirmed. 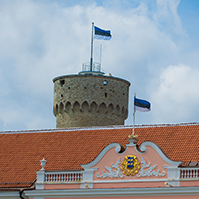 The motto of the Estonian Presidency is “Unity through Balance”. The Prime Minister said that these three words summarised the most important task of the Estonian Presidency: we help Europe to stick together and we take care that no one would feel left out or abandoned. When speaking of an open and innovative European economy, Ratas said that the European economy had to be open to changes, new opportunities and fresh ideas. In his words, the European internal market of some 500 million consumers is one of the greatest achievements, but the common market is not yet completed and a large part of the potential of the European economy still lies ahead. 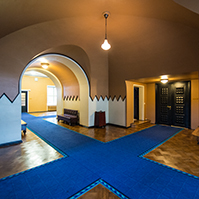 As the Presidency, Estonia would seek to improve the cross-border value-added tax system, to establish rules for financial counsellors and to enhance the cooperation between the tax authorities of the Member States, the Prime Minister promised. In conclusion of the topic of economy, Ratas pointed out the clean energy package which covered renewable energy, the functioning of the electricity market, and energy saving. Speaking on the issue of a safe and secure Europe, Ratas said that Europe had to increase its defence capability. “More investments must be made into defence capability because an empty sack cannot stand upright,” he said. He added that closer defence cooperation and an agreement on how to jointly finance the EU’s military operations was also important. Ratas said that the external border of the European Union had to be firm, and both persons and goods had to be better controlled. The Prime Minister promised that, to achieve that, several detailed joint databases concerning border crossings, travel authorisations and return decisions would be built that would also be interoperable. In the resolution of the migrant crisis, in Ratas’s, words, a balance must be found between the countries who are facing the arrival of refugees every day, and those who have to contribute in other ways. He thinks that improvement of the situation in the countries of origin of refugees and disruption of the activities of human traffickers would be a long-term solution. The head of Government also stressed the importance of the Eastern Partnership. “It is in the interests of the European Union that there is peace and the living conditions are good in our close neighbourhood,” he said. Ukraine, Moldova, Azerbaijan, Armenia, Belarus and Georgia must feel the complete support of the Union. The Prime Minister stressed that the most important thing in the foreign policy of the European Union was unity. “Russia has not changed its behaviour, it has not lived up to its commitments, and the conflict in Ukraine continues. Thus, the policy of the European Union towards Russia must also continue, based on the five principles agreed upon by ministers of foreign affairs, the most important of which is the full implementation of the Minsk agreements,” Ratas said. In the issue of a digital Europe and the free flow of data, Ratas pointed out that the establishment of a single e-market would contribute an additional more than 400 billion into the European economy annually and hundreds of thousands of new jobs. In Ratas’s words, the functioning of a digital society has clear preconditions, one of which is the free flow of data. In addition, Estonia is seeking to end geoblocking and to make sure that the rights and guarantees of consumers would be uniform no matter in which country they make their e-purchases. The Prime Minister said that Estonia intended to formulate all discussions relating to e-governance into the Tallinn declaration that would act as a reminder of our presidency. Regarding an inclusive and sustainable Europe, Ratas pointed out that as the Presidency we would focus for example on ensuring that workers posted to other countries would be treated equally with local workers, on bringing people with special needs closer to the society with the help of technology and improving their access to goods and services, and on facilitating the reconciliation of family and work life. Ratas said that Europe had to find a way to have a life that is less demanding on nature, because overburdened and unbalanced ecosystems mean a direct threat to our agriculture, industry and energy production – the whole economy in fact. “As the presidency, we will be facing two major issues where we will be looking for this balance together with other Member States: the climate and waste policy of the European Union,” Ratas said. The head of Government said that, during six months, Estonia would have the possibility to tangibly improve the life of European people. When speaking of Brexit, Ratas expressed a regret that the negotiations on the United Kingdom leaving the European Union were beginning during Estonia’s presidency. “This is sad because the United Kingdom is a long-time partner and ally of Estonia,” Ratas said. The head of Government stressed that Brexit was neither the main topic nor the priority of the Estonian presidency. “We have a role to play in this process, but the Commission will do the day-to-day work here, and Donald Tusk is the leader from the Council’s side. Our task is to focus on the future,” Ratas said. He assured that no priority would be neglected because the European citizens who would come to the ballot boxes in 2019 were waiting for Estonia to provide solutions to improve their security and wellbeing. In his report, Chairman of the European Union Affairs Committee Toomas Vitsut pointed out that the Presidency would allow Estonia to set its own priorities, highlighting thereby Estonia’s more practical contribution to the shaping of the future of the European Union. 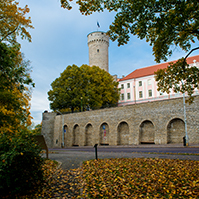 In Vitsut’s opinion, Estonia is on the right track if its Presidency programme focuses on the situation in the European Union economy and labour market, as well as security and defence issues. Creation of fast transport links to reach jobs, development of more cost-effective energy systems to reduce energy costs, and use of the freed resources for example in research and development are needed to create more jobs. Vitsut said that it was Estonia’s task as the Presidency to guide the steps necessary for a definite development of the common market. “It is not only the freedoms of movement that are important, but also the routes for goods, services, capital and people,” Vitsut said. Vitsut said that more definite shaping of the European Union common defence policy increased defence cooperation between the Member States, and their defence capability, and was important in creating the sense of security. “In today’s globalising world, no conflict is so distant as to not affect our sense of security, or global security more generally,” he said. In his speech, Vitsut pointed out that the European Union needed closer partnership relations with many African countries to improve the working and living conditions of the people in Africa. In his words, the fate of the Eastern Partnership countries is equally important. The Chairman of the European Union Affairs Committee also stressed that, during the presidency, Estonia would need mutual understanding and level-headedness in European Union matters. This peace at the home front ensures stability in the work of the Government during the EU Presidency. 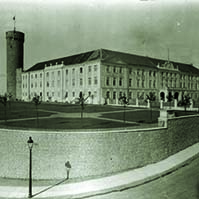 The success of Estonia’s first Presidency of the European Union is after all a matter of the reputation of the whole Estonia. 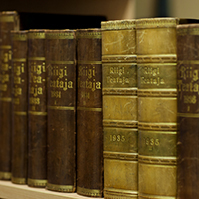 Vitsut also introduced the events of the parliamentary dimension of the presidency and confirmed that, in all the programmes of the Presidency conferences held in the Riigikogu, both the current EU matters and the strengths of Estonia had been taken into account when deciding on the topics. He stressed that national parliaments played the most important role in taking the decisions made in the European Union to citizens. “Only if we act together can we ensure the security of our citizens in the European Union, and have consequential influence in the international arena. At the same time, we should avoid creating illusions because it is unfounded promises that make people disappointed in the European Union,” Vitsut said in the conclusion of his report. Taavi Rõivas, who spoke on behalf of the Reform Party Faction, said in his speech that the European Union needed a new breath of life and new success stories. “Estonia has an opportunity and even a duty to contribute to these discussions. Moreover, our role is to lead these discussions as the presidency,” Rõivas said. He added that he expected a much clearer vision, much more specific proposals and above all bigger ambition from the Government. Monika Haukanõmm spoke on behalf of the Estonian Free Party Faction and said that, as the presidency of the European Union, Estonia must be an initiator of refreshing reforms. She noted that, as a future presidency of the European Union, Estonia had to focus on the democratisation of the Union and initiate a serious debate also about the political culture of Europe. “I believe that national parliaments must be ensured wider rights to participate in the legislative process of the European Union, and parliaments must also be given wider rights of control and legislative initiative,” Haukanõmm said. 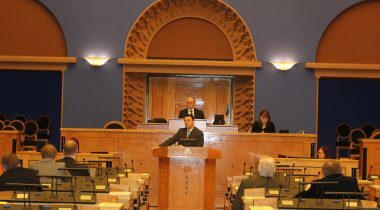 Jaak Madison took the floor on behalf of the Estonian Conservative People’s Party. He said that Estonia would have to be a good negotiator and a finder of compromises between different parties, but neutrality had limits. “A limit is reached when decisions must be made on issues that have clearly split the Estonian society and sharply conflict our interests,” Madison said, and mentioned as examples migration policy and the negotiations with Great Britain. In Madison’s words, the Conservative Peoples’ Party had always stood for a European Union that was a union of states, not a united state. Oudekki Loone spoke on behalf of the Centre Party Faction. In her words, the fact that, as the Presidency, Estonia must keep a balance and a neutral stance, is a very big opportunity for Estonia. “In order that we could make good decisions and that our foreign policy would be effective, we must understand the different interests of other countries,” Loone said. 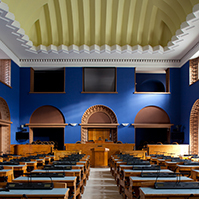 “If we can remain fair towards everybody, honest towards everybody – be it in Brexit, be it in the migrant crisis, be it in the issue of the rights and security of employees, be it in the development policy of Africa –, then we will have taken a big step forward, both in Europe and in Estonia,” Loone said. Liisa Oviir took the floor on behalf of the Social Democratic Party Faction and said that the European Union united countries who were united by common values. However, serious work must be done to uphold them because a country where these core values are not respected is too close. “Our most important priority is to keep the unity of the European Union,” Oviir said. In her words, Estonia as the Presidency would have an opportunity to enrich the Union with our distinctive experiences. In her words, Estonia is quick, flexible and innovation-oriented. Marko Mihkelson, who spoke on behalf of the Pro Patria and Res Publica Union Faction, pointed out that the support of the Estonian people to the European Union had stayed very high. In Mihkelson’s words, Estonian people will be the ones to gain the most from the presidency. In his words, the presidency would convincingly confirm that Estonia as a small country was an effective leader in a union of independent countries.